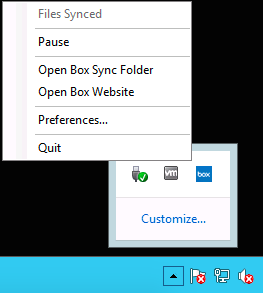 For some users, it might be more convenient to work with their content on Box from a folder on their computer, as opposed to in a web browser. 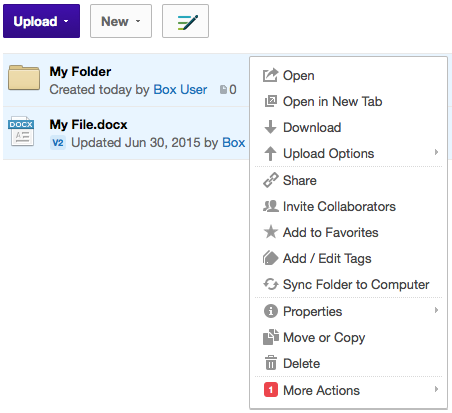 Much like Dropbox or Google Drive, users have the ability to sync all of their content from Box to a folder on their desktop, and if they don't have an Internet connection, can continue to work with their data offline. When their connection is restored, the data will sync back up to Box automatically. 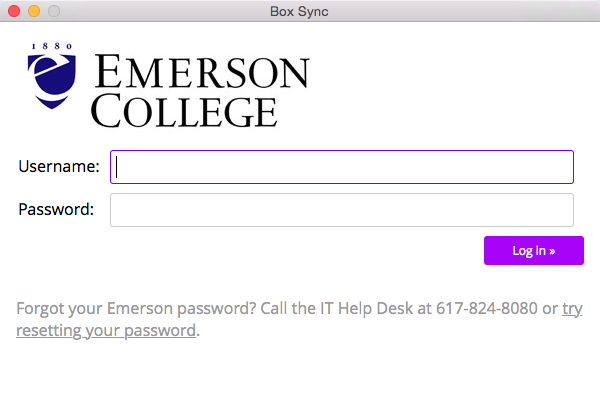 At Emerson, we only allow one device per user access to Box Sync, and for staff/faculty, we ask that it be your primary campus assigned workstation. Any other computers will need to use the web interface, and any mobile devices are welcome to use the mobile apps available. If you receive an error that you have exceeded the number of allowed devices, please contact IT at it.emerson.edu/help. Note: Due to the sensitive nature of some users' data, some users may be prohibited from using Box Sync. 1. 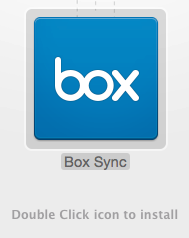 Download the installer for Box Sync by logging into Box, click your name in the top right corner, and select Get Box Sync. 2. 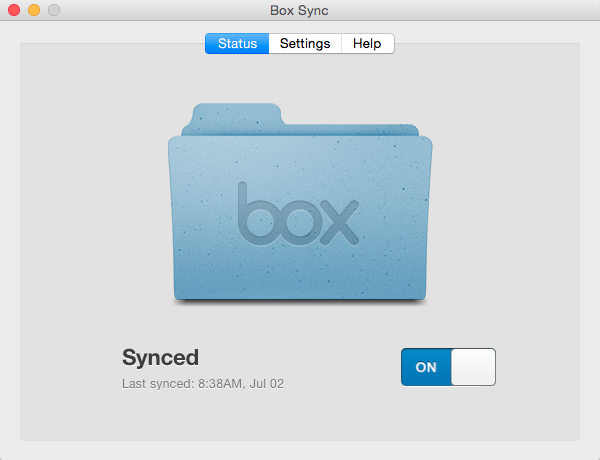 Download Box Sync for your platform (screenshots here are for Mac OSX). Double click the installer to install. 3. 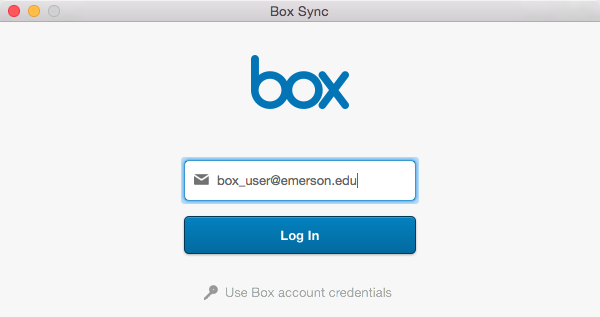 When Box Sync launches, choose Single Sign On, input your email address, and then log in with your username and password. 4. 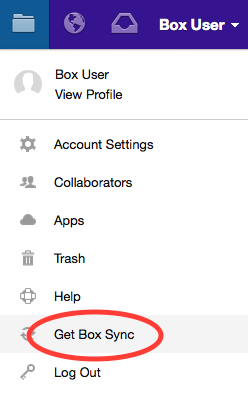 NOTE: By default, Box places a folder called "Box Sync" in your user profile, and that's the folder you interact with to sync. If you'd like to change that folder, you have to do it at this stage. You cannot change this later without reinstalling, so make sure to take this step now. If you want to do this on a Windows machine, please put in a ticket at it.emerson.edu/help - it requires making system level changes to the registry. To change the folder on a Mac, click Customize Folder Settings, choose change folder, change the directory you'd like to use, and click Open or Select. 5. Now go ahead and start syncing. 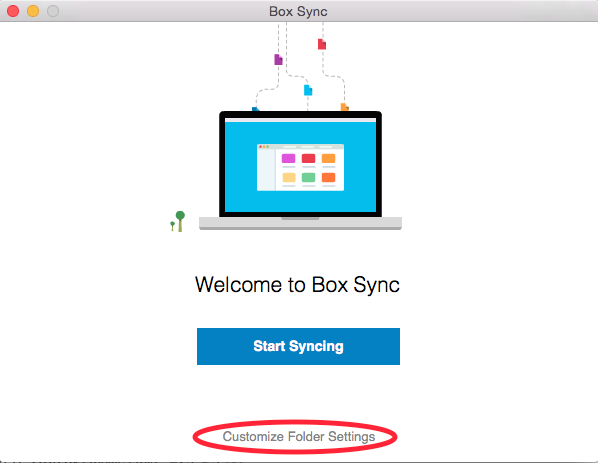 Any files you have on Box will automatically sync to your folder, and any items you place in your account will automatically sync to Box! 6. 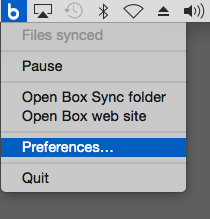 To get back to the Box Sync settings, click the Box Icon in the Menu Bar (or on Windows, in the System Tray in the bottom right corner). 7. 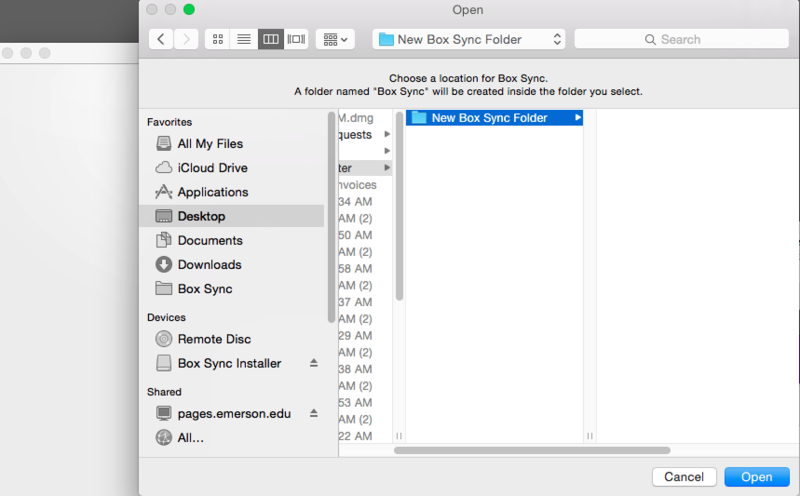 If someone shares a folder with you and it's not set to sync by default, right click the folder and select Sync Computer to Folder. 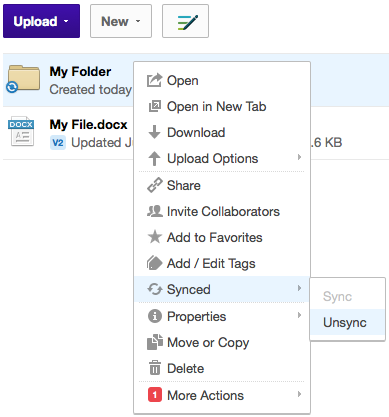 To unsync a folder, right click the folder, and select Sync > Unsynced.